Why use Omarentals to find your next home? OMARENTALS are the leading letting agent in Omagh and Co. Tyrone providing the largest selection of property for rent in Omagh, Beragh, Dromore, Drumquin, Gortin, Newtownstewart, Fintona, Carrickmore, Mountfield and throughout County Tyrone. OMARENTALS selection of property to let in Omagh and Co. Tyrone ranges from modern apartments to perfect family homes, in both urban and rural locations throughout County Tyrone. 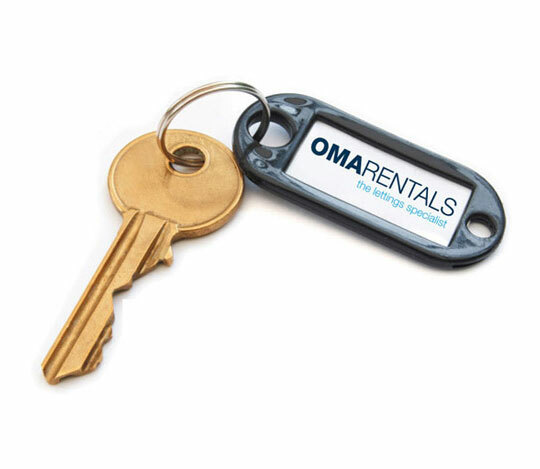 OMARENTALS are here to guide tenants and to ensure that the entire process of renting your next home runs as smoothly as possible. What type of references do I need to get? How long before I know if my application has been accepted? What do I need to pay before moving in? How do I work out the monthly rental payment? At your viewing you would have received your "Tenant Application Form". Please complete the tenant application form, one for each adult applicant. Provide two written references for each adult applicant. The application and references should then be returned to our office as soon as possible by hand, scanned and e-mailed, faxed or posted. 2. What type of references do I need to get? Written references can come from your current landlord, past landlord, current employer, past employer, bank manager, accountant, solicitor, teacher, doctor, or any professional. A typical reference will state how long they have known you and in what capacity. References cannot come from friends or family. Once we have received your completed application and references we will forward same to the landlord. Demand for rental accommodation is at an all-time high and frequently there may be multiple applications for the same property. The ultimate decision in accepting an application lies with the landlord of the property. 4. How long before I know if my application has been accepted? Provided the landlord can be contacted we usually know within 2-3 days or sometimes sooner. Once we have received acceptance of your application from the landlord we will contact you immediately. 5. What do I need to pay before moving in? You will have to pay your security deposit and first instalment of rent. Please confirm with our staff what that payment will be for your particular property, as this can vary from property to property. Please note that this first payment will have to be paid in cash or via online bank transfer. 6. Do I have to sign a tenancy agreement? Yes, in all circumstances you will sign a tenancy agreement and you will receive a copy of same along with your rent book. The tenancy agreement will be for an initial fixed period which will be clearly stated on your agreement and will thereafter run periodically. A fixed term lease of 6 or 12 months gives you the security to occupy the property for that set period of time. During this time neither you nor the landlord can end the tenancy unless there have been breaches of the terms. 7. When do I collect keys? Once your application has been accepted and your deposit has been paid we will draw up all necessary paperwork and agree a check in date with you. On that date you will meet at our office to sign your tenancy agreement and collect keys. 8. Who is responsible for contacting the utility companies? On the day of check in, one of our personnel will read the relevant meters for you and provide you with the readings. It is then your responsibility to contact the utility providers to open an account. Please note that it is important that you contact the utility providers within 48 hrs of tenancy to avoid termination of supply. 9. What about contents insurance? Please note that the landlord's building and contents will be covered under his insurance but that only you can insure your own contents. On the day of check in we will provide you with contact details for insurance quotations. We strongly advise all tenants to arrange for contents insurance. 10. How do I pay future rent? All future rents will be paid by standing order on an agreed date. Please note that Omarentals will assist you with the process of setting up your standing order on the day of check in. 11. What other costs will I have besides the rent? These can vary but most likely will include gas or oil, telephone, t.v. licence and electricity. Please be aware that the tenant is responsible for all utility charges to include connection if so required. 12. How do I work out the monthly rent payment? The best way to work out the monthly rental payment for a property is to multiply the weekly rent by 52 weeks and divide by 12 months. This will give a per calendar month payment due on the same date each month.